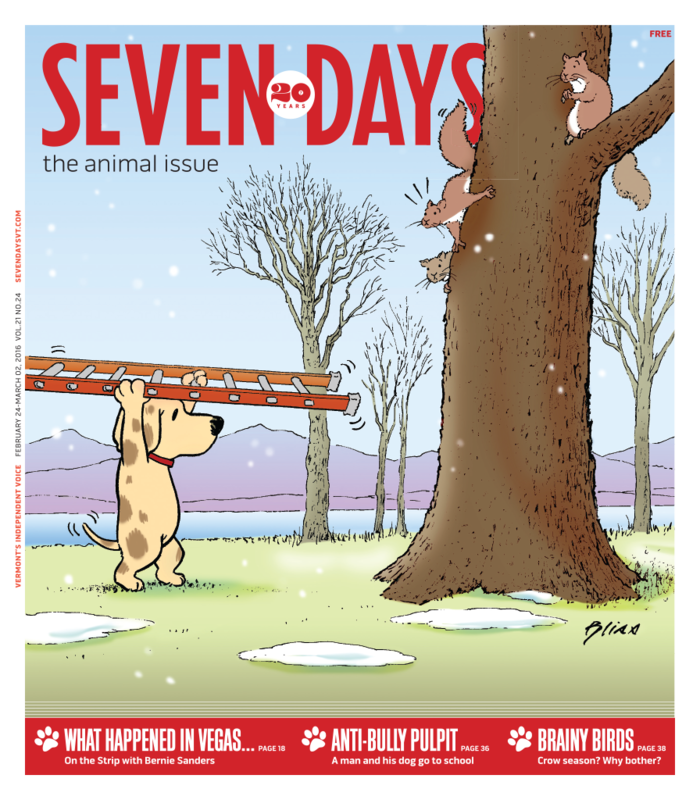 We’re pet-loving peeps here at Seven Days, accompanied daily by canine companions. Our furry friends make their mark in this annual issue, but so do untamed species. We hear about artist Rob Mullen’s wild, wild life in the northern forests, and bemoan the fate of one Jurassic beast on a rural road. We ponder the futility of hunting season on smarty-pants crows, and go to school with a guy and his dachshund on their anti-bullying crusade. We talk to a devoted house-call vet, and wrangle a coveted interview with a Facebook-famous cat. Finally, be sure to note the winners of our Animal Kingdom Instagram contest, because they’re awwwsome.